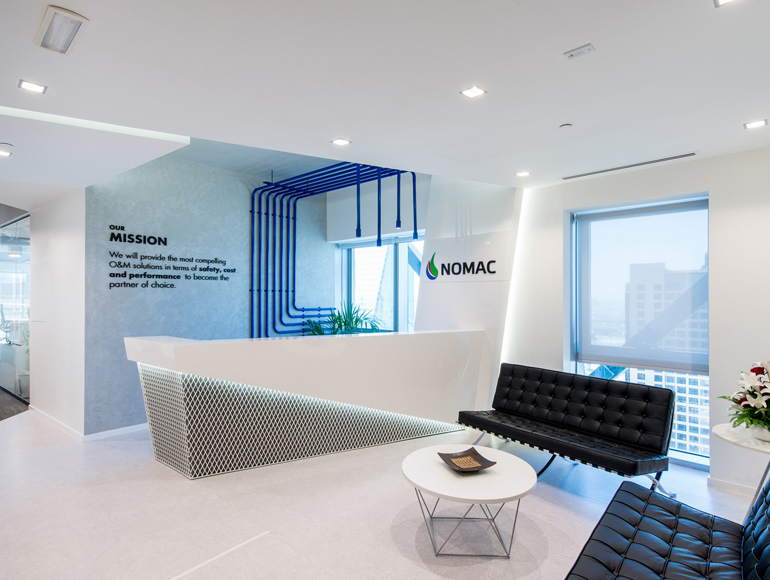 Modern, bright open plan workspace for NOMAC’s new offices in TECOM Tower One. The First National Operation and Maintenance Company (NOMAC) a subsidiary of ACWA Power was established in 2005. It operates Operations and Maintenance (O&M) services, and is dedicated to providing safe and efficient power production and water desalination projects, regionally and worldwide. 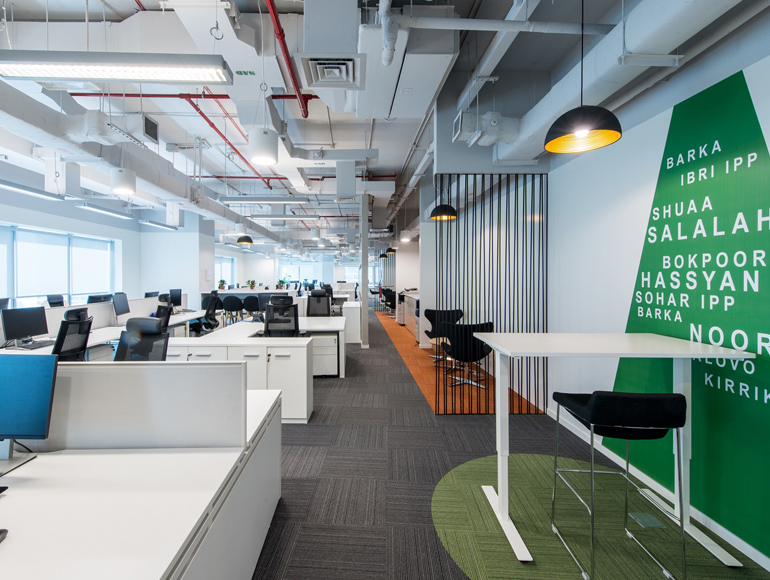 Located in The One Tower at TECOM, with direct access to DIC METRO, Summertown worked closely with NOMAC to create a new Dubai office that incorporates their values and communicates their core business. 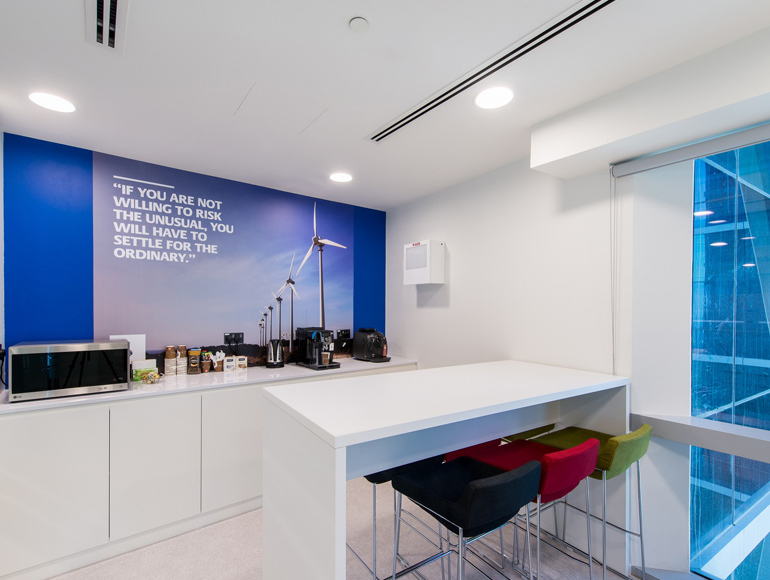 The project included design and build with MEP, and IT scope. Industrial elements were installed to create the character of the company’s industry. 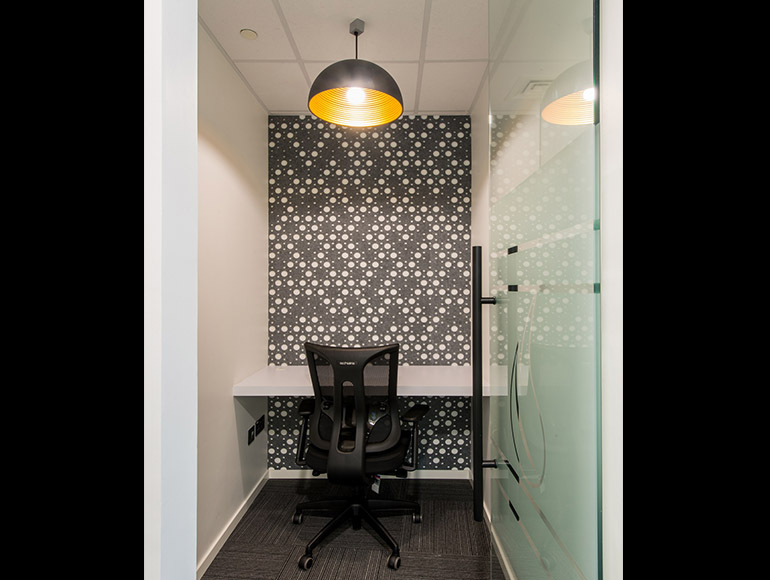 The workspace design captures the natural light in the open plan desk areas, whilst also providing privacy telephone booths and multi-functional meeting rooms. 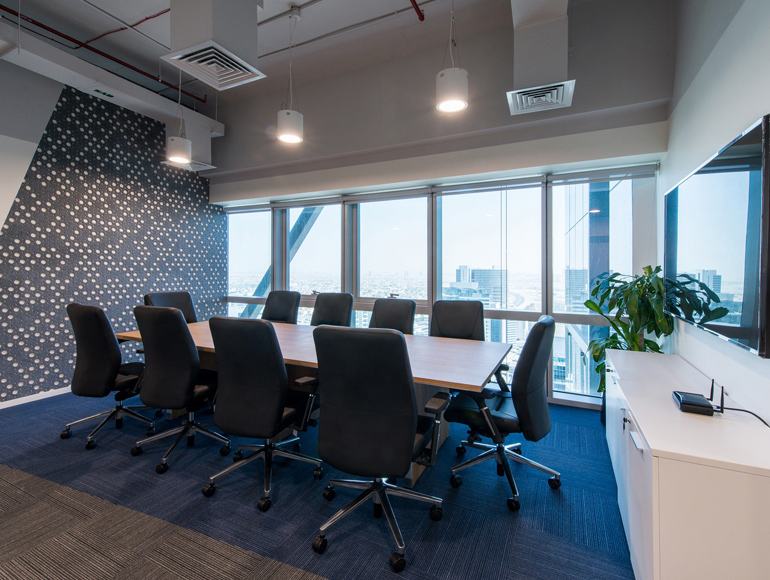 Acoustic elements were introduced in the main boardroom, using 3D cork panels, and meeting area walls were lined with acoustic wall panels. 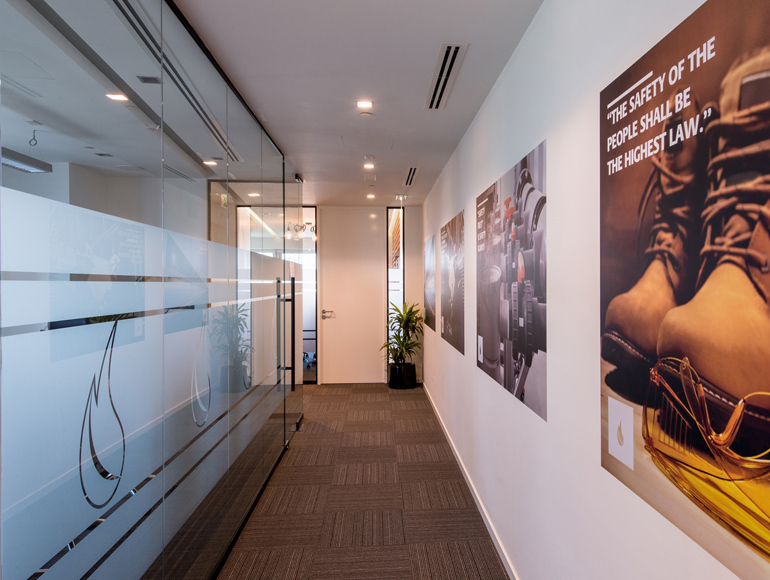 With a limited budget Summertown collaborated closely with NOMAC to develop smart solutions to meet the interior space requirements and company branding – resulting in a fantastic new work environment for their people.